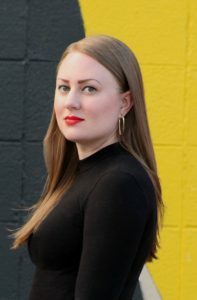 Jackie Sizemore is a published author, educator and NACAC member whose writing has appeared in GOOD magazine, Ravishly, CollegeXpress, and many literary journals. She recently placed as a Notable Essay in the Best American Essays 2018 book series. Jackie has an MFA in Creative Writing and a BA from Carnegie Mellon University. She worked for two years as an Assistant Director of Admissions at Carnegie Mellon University where she read over two thousand applications. She has taught college English and creative writing on multiple campuses and worked as a University Writing Center consultant. Jackie is a “third culture kid,” living in Tokyo, Japan as a child and ten different places in the U.S. so far. She has driven across the country four times and is always looking for new experiences to write about. Point of View Consulting is driven by her extensive knowledge of narrative to her deep understanding of admissions and selection committees. You can contact her directly at jackie@pointofviewconsulting.com. Magazine features published in Crixeo, Artrepreneur, CollegeXpress. Education articles and features in GOOD magazine. Craft writing at Author Magazine. Fiction published in Opossum, Paper Darts. Creative Non-Fiction published in Ravishly, Eastern Iowa Review, The Evansville Review, forthcoming in Crab Orchard Review, Citron Review, and Mikrokosmos. Guest speaker for virtual summit. Presentation and writing workshop for Wind River Reservation artists. Presentation and writing workshop for Wyoming artists. Paper that explores BSU’s Writing Center’s preparedness for working with creative writing, conducted interviews with current consultants resulting in qualitative and quantitative findings. An interactive workshop for administrators and consultants to begin creating a social justice training program, or social justice aspect of their current training program for their center.